It’s Christmas eve and the guys are glad they have a light local today–just a couple of loads for the warehouse, a load of Falstaff and Hamms and a couple of loads of lumber for the team track. A C&O load of auto parts and a CB&Q load of appliances for the warehouse. An MP box of Falstaff out of St. Louis and a load of Hamms out of Saint Paul, MN. A couple of BN (one has GN reporting marks) flats of lumber for the local lumber dealer. The pick ups are light too–just an empty covered hopper from Ponderosa Feeds and an empty car at the bakery. 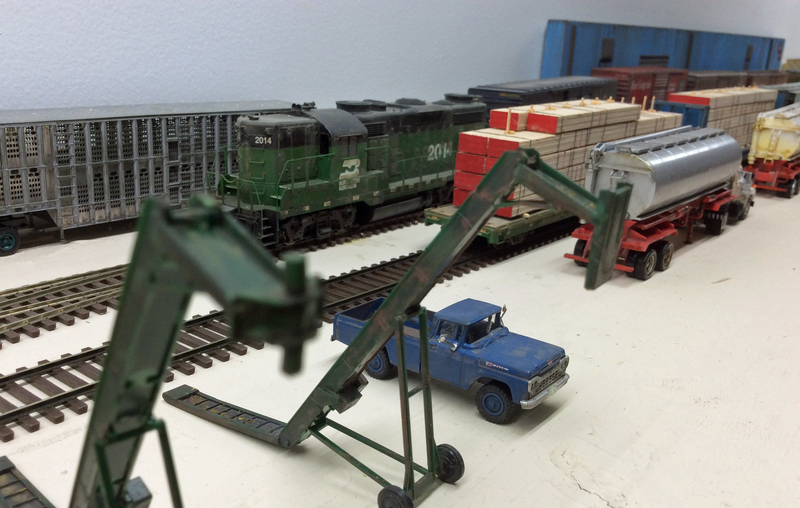 A piece of cake today–just spot the warehouse and beer loads and position the caboose for the departure. 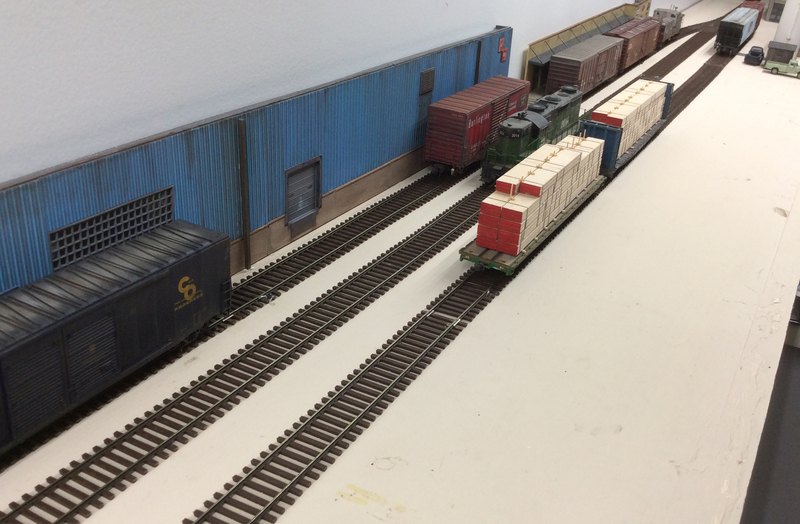 Crew eases down the warehouse and beer distributor siding. The yard crew did a great job blocking the short train. 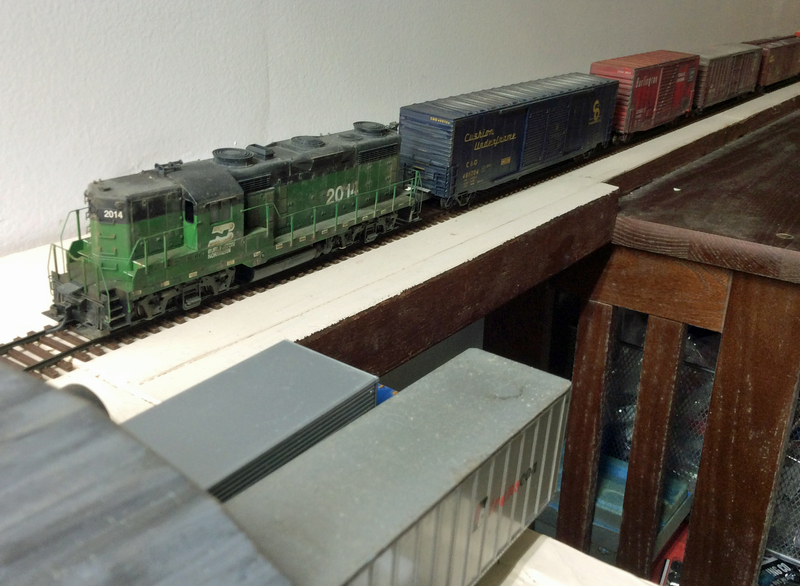 The beer loads are spotted then the C&O and CB&Q boxcars. Miraculously, the CB&Q car was in the right position for door #4. All is well at Hernandez Distributing. The beer folks have knocked off, but will be unloading December 26 to get ready for the New Years rush. Just a matter of backing down the line to make up the short train to head back to town. First, the crew will back down the bakery spur to retrieve the empties and then ease down the beer spur the retrieve the caboose. The short train now heads back to Trinidad. The crew hopes to be home in plenty of time to join their family for Christmas Eve. Merry Christmas from Rails West. 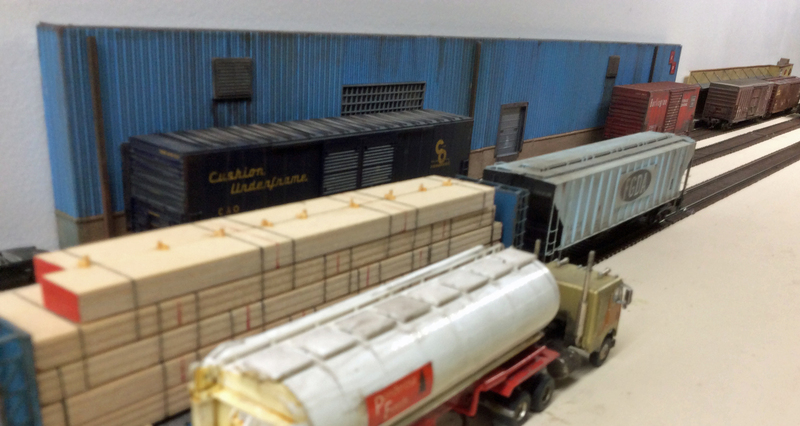 Another load of lumber from the northwest came to Sanderson originating on the Northern Pacific. Both cars are Exactrail. Car on left built 12-67, cushion underframe, metal rail along end of deck boards, car on right built 10-65, no cushion underframe, end of deck boards exposed. Note difference between edges of deck. I cut down through the ends of the American Model Builders wood deck boards with a razor saw on the 10-65 car so the boards appear to be individual. I weathered both cars just with powder since I have had problems with wood warping when I used a weathering wash. I need to add ACI plates, at least to the newer car since ACI plates came out in 1967, so it was probably delivered with one. Since completing my Wheels of Time lumber load I decided I needed another 50’ flatcar. Exactrail has a nice car except that the deck doesn’t come up flush with the steel casting and that flaw is very noticeable. I discovered that American Model Builders makes a laser cut wood deck for the Exactrail cars with 42’ truck centers and hoped it would correct the flaw. And it did! The small squares on the ends didn’t need the Exactrail deck under them but the big center piece needed the very thin Exactrail deck under the American Model Builders deck. The other thing I changed was the placement of the air hoses, which Exactrail had way too far from the coupler housing. I cut them off and moved them closer. The car rode just a bit high on the trucks that came with it so I filed off a bit of the truck centers and it’s good to go.